The best Italian artisan flatbread producers are those that produce a fresh and fragrant piadina. The tortillas are the Emilia Romagna features and each country makes a special touch and with its own customization. The piadina and artisan flatbread producers are definitely one of the Italian excellences. The piadina is certainly the oldest type of bread of the entire region. It has a centuries-old tradition renewed daily in this region. The artisan flatbread producers, especially in Romagna make use of raw materials from the region itself. And since ever the row materials come from the same region in order to obtain a fragrant and unique piada materials. 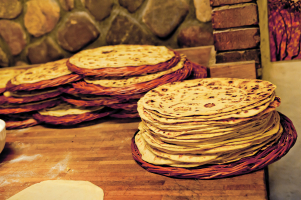 Another peculiarity of handmade tortillas is to not use preservatives but rather to maintain its fragrance are generally cooled to room temperature. Many handmade tortillas producers also produce wholemeal tortillas. These integrals piade possess a high level of proteins than those refined. Rich in vitamins, antioxidants and minerals.